Employees and retirees of Ford UNIFOR Locals 200 & 240, Leadec Industrial Services and Penske Logistics Canada raised $562,693 for United Way/Centraide Windsor-Essex County during the Site’s most-recent annual campaign. “I am proud to represent a team that continually demonstrates a collective commitment to the community through our strong partnership with United Way,” said Tony Savoni, Ford Windsor Operations Site Manager. 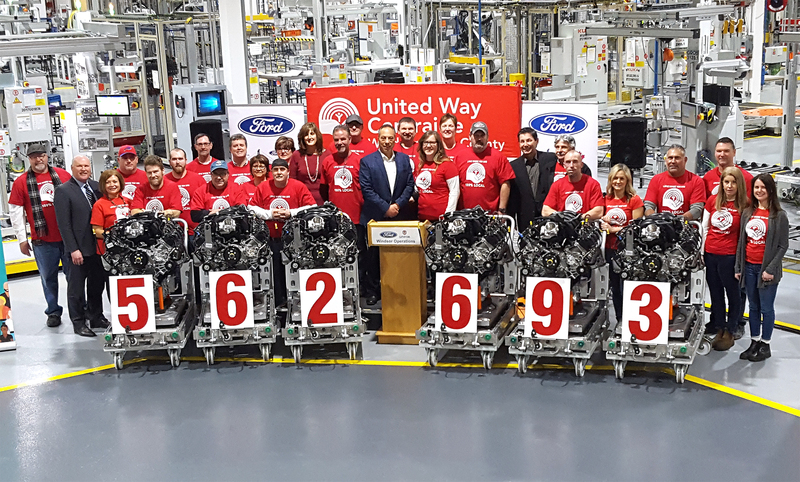 All-time, the Ford Windsor Site has contributed more than $51 million to the United Way.